In his new position, he oversees the resort’s dining offerings, catering for over 16,370 square feet of event space, 24 hour suite service, pool and beach-side dining, and more. The appointment is effective immediately. With almost 20 years in some of the top kitchens in Mexico and abroad, Palma most recently served as Executive Chef of Rosewood CordeValle in Santa Clara, California. Prior to, he acted as chef within Camino Real Hotels, Mayan Resorts, Hilton and other Rosewood properties in Mexico and the US, including six years as Executive Sous Chef at Las Ventanas al Paraiso in Los Cabos. Palma has trained with renowned Michelin-starred chefs Joel Robuchon at MGM Grand in Las Vegas and Peter Rudolph at Rosewood Sand Hill in Palo Alto. 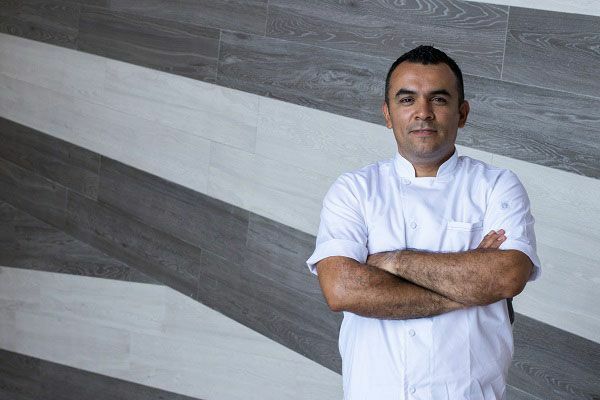 Originally from Mexico City, he started his career with a bachelor’s degree in hospitality from the Superior School of Tourism, and later studied Culinary Arts at the Florida Culinary Institute of Boca Raton. His professional experience began at the Marquis Reforma in Mexico City.